Lost Pines Toyota has implemented special pricing on all in-stock new and pre-owned vehicles. 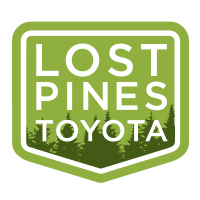 It is important to Lost Pines Toyota to foster an environment for community involvement and support the needs of that local community! In order to receive this special pricing, contact Joe Mckinney, also known as “Uncle Joe”. He can be reached at his office, 512-303-1200 or on his cell, 281-460-8955. He is waiting to assist each of you on your vehicle purchase! *Plus all factory rebates on these vehicles! It can save you THOUSANDS!! The only exclusions are the TUNDRA TRD PRO, 4RUNNER TRD PRO and TACOMA TRD PRO. Most of these are special order and extremely hard to get! We take pride in keeping business in our hometown and assure you, you are getting the best price right here at home, our home, Bastrop, Texas!